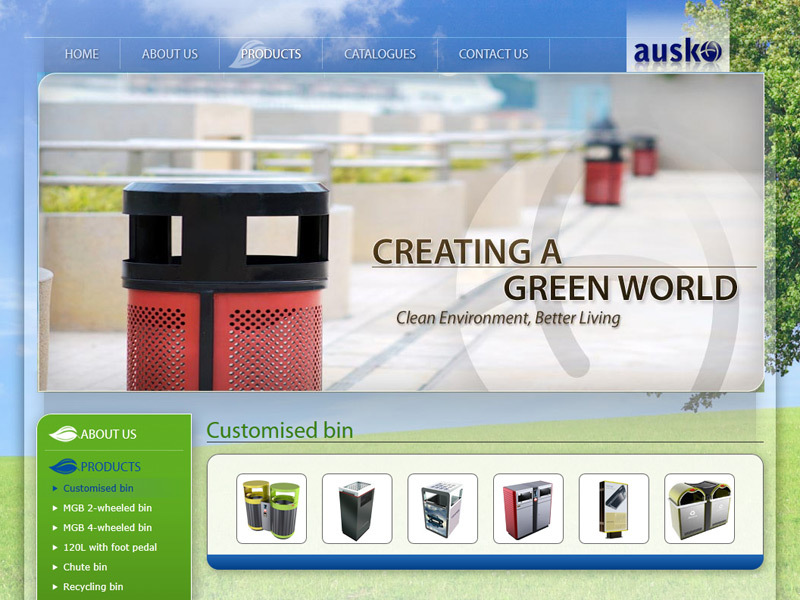 Based in Singapore, Ausko is recognised as a leading supplier of plastics and metal waste containers catering to both the government and private sectors. The company's unwavering focus on meeting customers need and maintaining high product quality have propelled them to win major contracts such as the Formula 1 Grand Prix, Esplanade Arts Centre, Singapore Airshow, SMRT, Singapore Zoo, Singapore Bird Park, and Resorts World at Sentosa among many others. 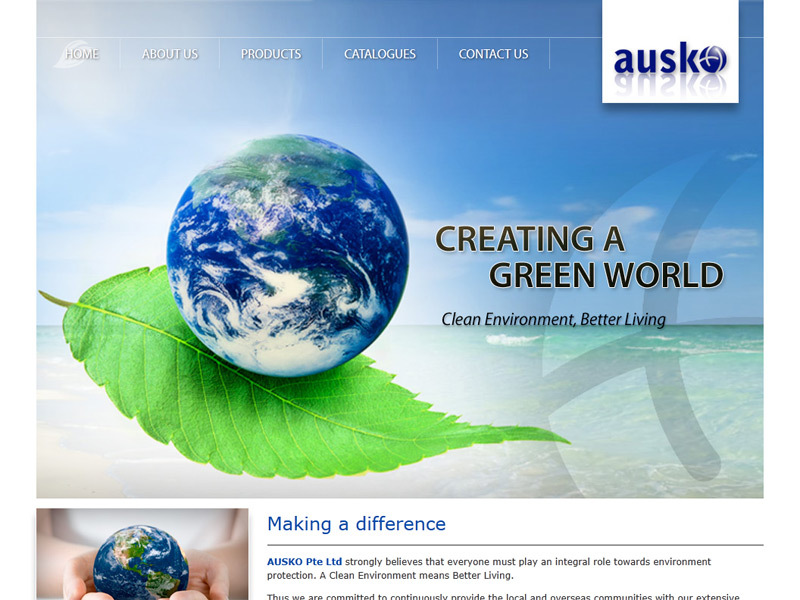 Reflecting Ausko's commitment to deliver environmentally-friendly solutions for the good of all, green alternating with generous touches of blue are the colours selected for their corporate website. 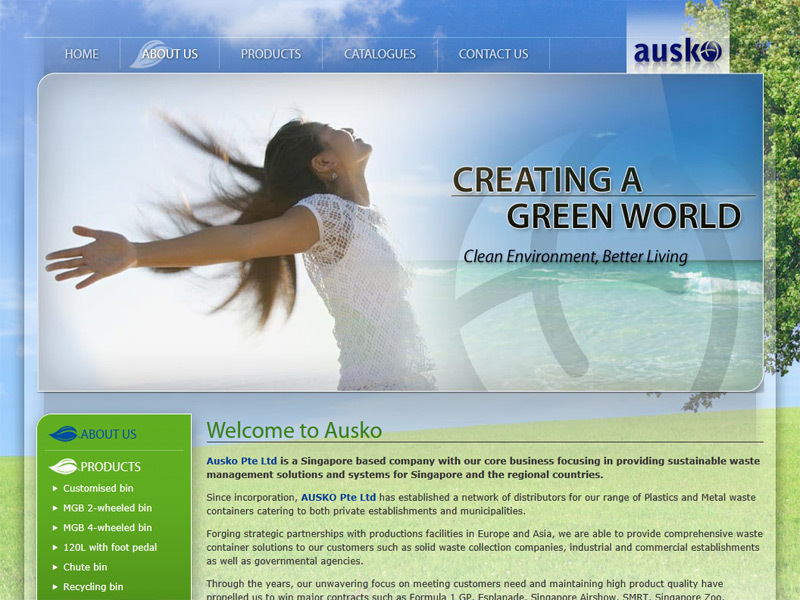 Human elements showing warmth, joy and care add a soft touch that proclaims Ausko's gentle love for Mother Earth.